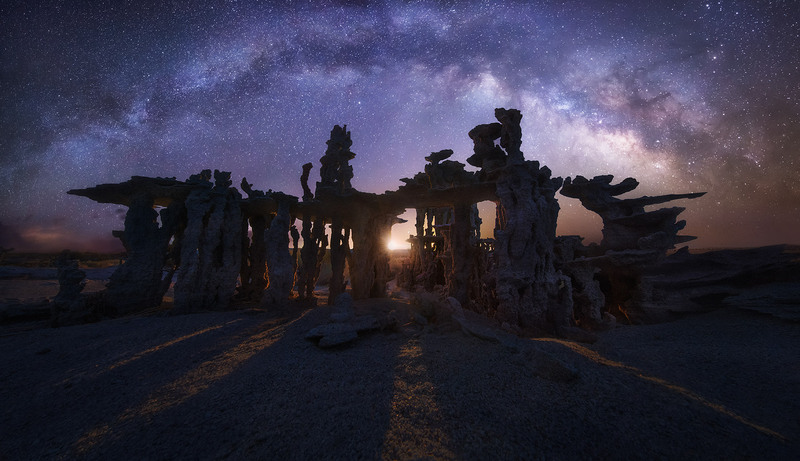 The light of the crescent MOON rises between towers of sand tufa rock. Three images were used side by side to record the entriety of the Milky Way overhead at the same time, and more were used to record sufficient depth of field throughout. This was a shot which I attempted over a period of four years and finally succeeded at. Photo © copyright by Marc Adamus.